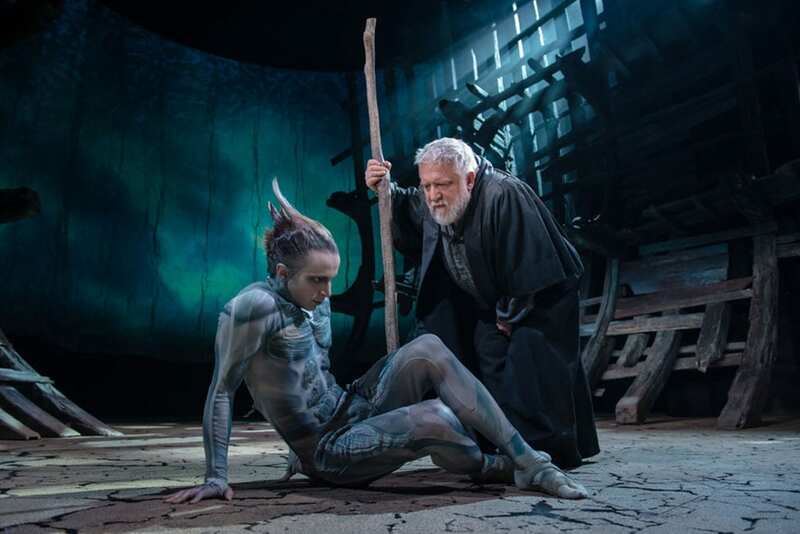 After a successful run in Stratford, Gregory Doran’s staging of The Tempest now graces the stage of the Barbican, in all of its whimsical and mystic glory that Shakespeare himself would arguably esteem. Asides from an impressive cast (the renowned Simon Russel Beale starring as Prospero), this production offers more than the traditional conventions of Shakespearean theatre. 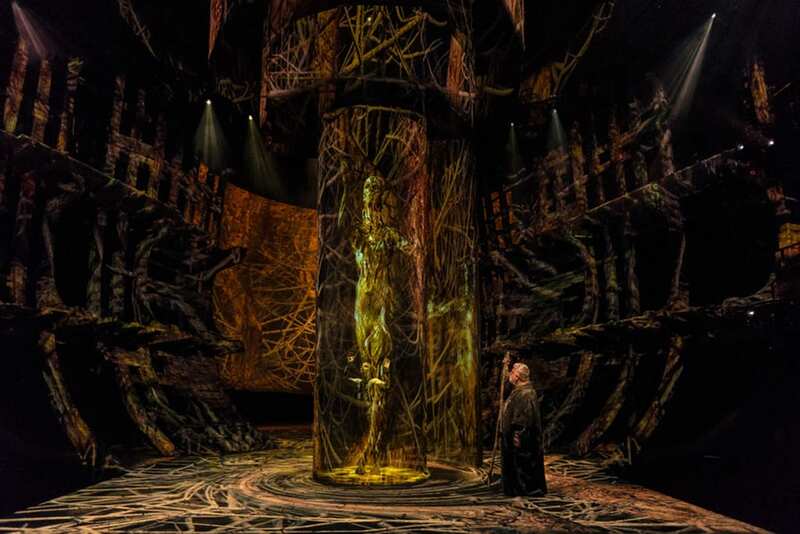 The RSC has partnered with Intel to present a bold and reimagined version of The Tempest, but which aligns impeccably with the play’s integral themes of the supernatural, the divine and magical illusion. 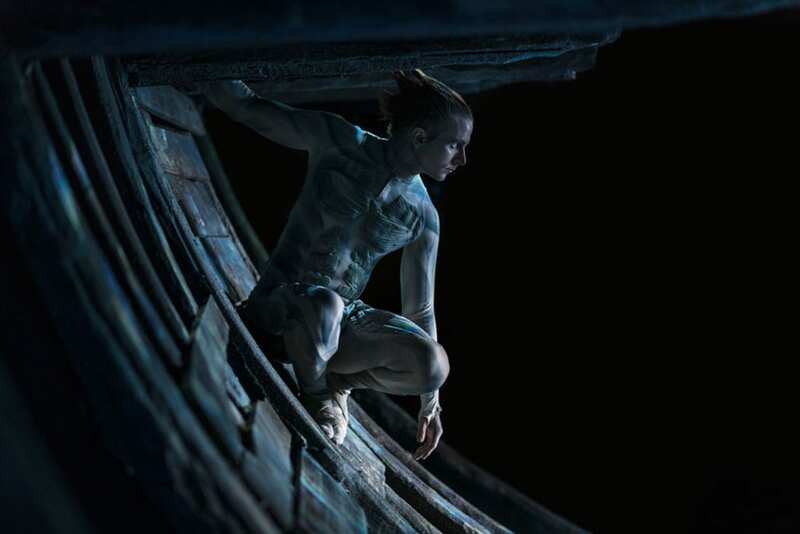 There is no doubt that Doran’s The Tempest is a visual spectacle to behold, with endless palettes of vivid colour and a creative use of staging that immerses the audience into the world inhabited by the characters. Contemporary innovation greets the 17th Century as Imaginarium Studios provide cinematic special effects which enhance Aerial’s mystic quality and bring enchantment to the stage in a way that hasn’t been explored or executed before. Whilst the visual output is undeniably impressive, the time lapse between actor and rendering results in a slightly anticlimactic impression, as there are no immediate indications that the technology is as advanced as it is. However, the lighting and artistic projections work alongside the narrative to really bring it to life, and the overall result is one of stimulation and a distinctive, gratifying experience. Embodying Prospero is Simon Russell Beale, who returns to the stage in world-class fashion, conveying a practiced authority and a subtlety which does justice to Prospero’s complex character. Through authentic expression and a commanding stage presence, he tackles themes such as forgiveness, betrayal and compassion with unwavering yet powerful composure. Mark Quartley is also deeply impressive in his sprightly portrayal of Aerial, and utilises the digital technology with a grace and style that captures the essential spirit of his character. Jenny Rainsford, too, shines as a naïve yet strong willed Miranda. She provokes much laughter with shrewdly delivered one-liners which highlight her character’s role as symbolic of the respective society’s general depiction of women as sexual tools. Despite second to none acting and direction, much of the plot is delivered by dialogue, and it’s a shame that the actors aren’t fitted with microphones, as the beauty and nuance of the language is lost at points. Ultimately, Doran’s production of The Tempest is one not to be missed, for the sheer scale of visual spectacle alone. 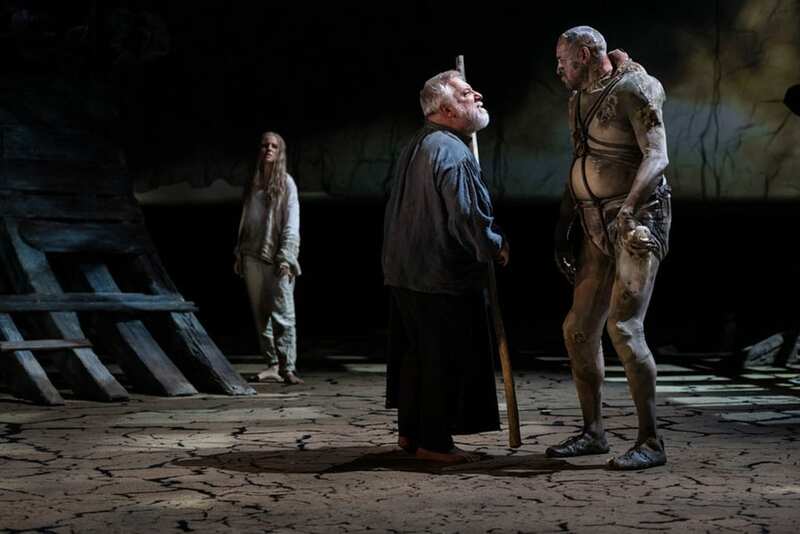 Simon Russell Beale delivers a sterling performance as Prospero, and the meeting of human authenticity with digital innovation makes for an interesting and stimulating experience, even if you feel the pair cannot coexist in harmony. The Tempest is ultimately a tale of right, wrong, and the subjectivity of justice. These are timeless themes which resonate with humanity on the most fundamental level, and Prospero’s final monologue, delivered by Beale in a simple spotlight with zero peripheral distraction, highlights how these themes reside at the heart of the play. However, the magic embedded in Shakespeare’s writing, and thus his imagination, is bought to life in this production through exciting stagecraft and a dose of visual and compelling magic – and that can only be a good thing. After seven years of London life, Abigail has swapped Big Ben for big mountains in Canada. 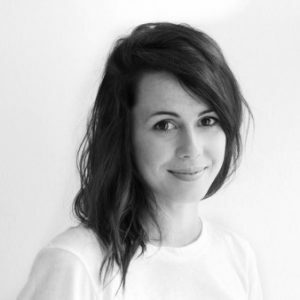 Alongside working as a cultural insight researcher, she studied Arts and Humanities at Birkbeck University. This is where she discovered a passion for theatre, and a realisation of how socially and culturally important story-telling on the stage is, as well as how exciting, provocative and inspiring it can be! Since then she has fallen in love with a breadth of genres and writing styles, and is especially excited about anything that questions what it means to be human in the contemporary world. She’s really looking forward to exploring Vancouver’s fringe scene, checking out new productions and engaging in conversations about them.